Because of lifted travel restrictions, this place is quickly making it’s way onto everyone’s radar, and rightly so. The travel landscape is certainly changing here, and it’s best to go sooner rather than later, before it becomes overrun with tourists and loses some of its historic charm of a country “frozen in time”. Walking around the streets of Havana or Trinidad is a unique experience for any visitor. Along with a thriving music scene, there are historical sites everywhere and one of the greatest collections of colonial architecture to be seen. It’s also home to beautiful beaches and some of the healthiest coral in the Caribbean. The easiest way for U.S. citizens to see and experience Cuba is by going through a travel professional (ME), and book with a licensed tour operator. 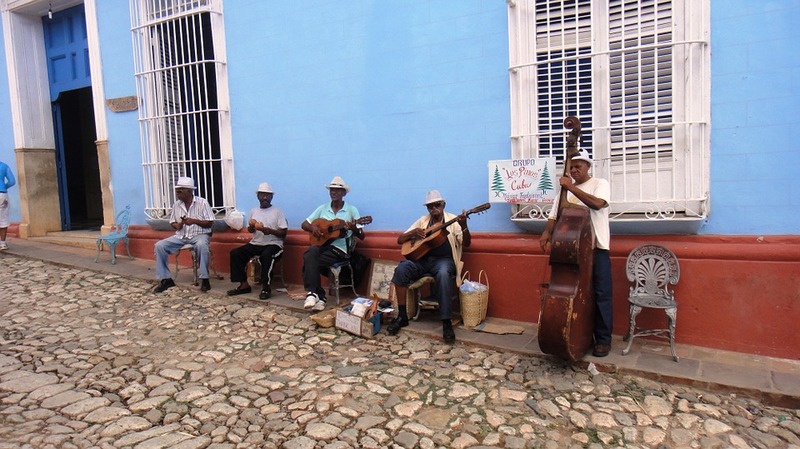 These immersive journeys allow you to really see and understand the Cuban culture and provide intimate access to the people. Rio already has a reputation for throwing some of the world's greatest events. The Olympics in 2016 promises to not be any different! Experiencing it in person will be a once-in-a-lifetime experience. Millions will be watching as the “Marvelous City” welcomes athletes from nations around the world. Imagine being able to cheer on your favorite athletes and see these amazing events in person. This is a beautiful city full of contrasts. From the gorgeous sandy beaches and glistening blue waters of the Atlantic Ocean to the bohemian art of Santa Teresa and bustling Centro district, the atmosphere around Rio will be electric from the moment the torch is lit to the end of the closing ceremonies. 2016 happens to be the National Park Service’s Centennial. If you are a traveler that truly enjoys the outdoors, this year is a great opportunity to visit some of the country’s most beautiful parks and landmarks, and take part in the celebration. Utah is the place to get outdoors this year. This beautiful state offer you the opportunity to experience the largest ski and snow resort in the country in Park City, so if snow is your jam, there is no better place to experience Utah’s legendary powder. Beyond the snow, this is home to Utah’s “Mighty Five” National Parks. Hiking the red-rock canyons of Zion, Bryce, Arches, Capitol Reef and Canyonlands is a remarkable experience and sight to behold. And the adventures don’t end there! There are scenic drives, lakes to go white-water rafting on, culture found in the cities, and plenty of activities depending on what suits you. The options in Utah are also available for just about any budget. From the fancy resorts in Park City, to the simple lodges found near the National Parks, there is a way to experience this place for nearly every traveler. Travelers seeking unlimited indulgence, as well as culture and adventure, will find all of that with a visit to Abu Dhabi. There are massive amounts of cash that are being poured into attractions here that will certainly put this place on the map in the upcoming year, and give neighboring Dubai a run for it’s money. For the first time, a museum branded to Paris's Louvre will open on the Saadiyat island district, and museums from around the world, including the Lourve, will be shipping masterpieces there to be displayed at the Lourve Abu Dhabi, opening in late 2016. This influx of culture will join shopping malls, beaches, and super-luxe hotels. Travelers who appreciate this kind of opulence are sure to be satisfied. Abu Dhabi is joining the world culture it wants to belong to, and is hoping that travelers around the world will appreciate it. Everyone knows that Oktoberfest is the world’s biggest Beer Bash. But all of that will be stepped up a notch in 2016, as Bavaria celebrates the 500th anniversary of the Beer Purity Law. The capital of Bavaria is Munich, which, along with the hosting of Oktoberfest, awes with it’s sweeping gardens, grand palaces, and superb museums. Heading south from Munich on a break from enjoying it’s boisterous beer halls, you’ll be met with the regions most incredible sightseeing. In between the Alps and vineyards, you find walled medieval villages, storybook castles (seriously- this was the inspiration for Disney’s Sleeping Beauty castle), cathedrals, and beautiful forests. 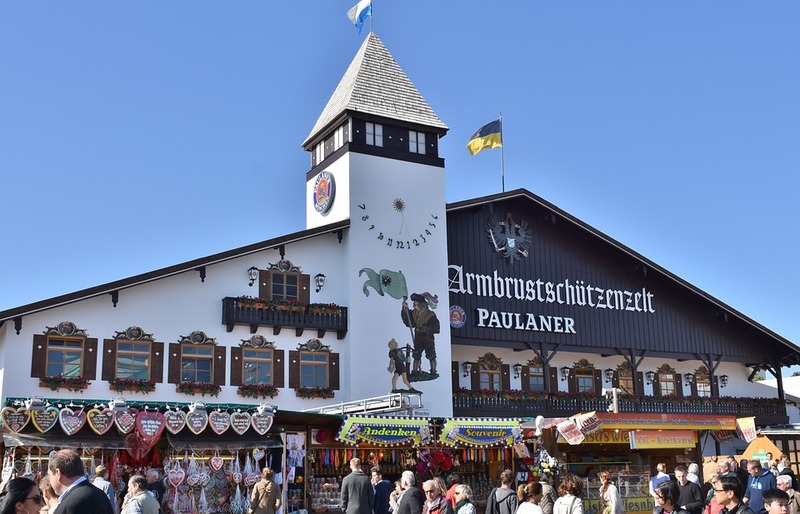 Certainly fall is the best time to go and enjoy the craziness that is Oktoberfest and all of the beer gardens, but if the heightened crowds don’t appeal to you, other times of year can be enjoyable as well, and offer up different activities, such as skiing the Alps. For the travel-minded folks around here, you’ve probably already been dreaming about what trips you’d like to make happen this year. Maybe it’s a mix of visiting some old favorites, and adding some new destinations you have yet to discover. Or, perhaps you have something big you’re celebrating this year like a honeymoon or a milestone birthday, and you are figuring out the best place to make those moments the most memorable ever. However your wanderlust spirit is speaking to you, I am excited to see where it leads you. The world is full of amazing places (including these 5! )… you should go and I should plan it!